Home > GYAN about WHAT - WHY - HOW ? > The most commonly asked why’s in daily life?? The most commonly asked why’s in daily life?? If heavy objects sink in water, why does the boat made of heavy metal float? Have you ever wondered why a heavy meatal ship float but doesn’t sink? As a kid I was so fascinated to know why my paper boat would sink and why ships and boats doesn’t. It is the Buoyancy force which keeps the ships floating on water. The ship when on water always displaces lot of water. The displaced water pushes the ship upward. 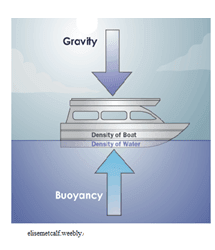 This force which pushes the ship upward is the Buoyancy force. The gravitational force pushes the ship downward and the buoyancy force pushes it upwards. Both these forces together hold the ship floating on the water. The phenomenon behind this is scattering. Scattering occurs when light hits the particles like air molecules and gets reflected. The reason is simple. The molecules in the air scatter blue light in the spectrum more efficiently than any other light. As proposed by Rayleigh, the intensity of scattered light is inversely proportional to the fourth power of wavelength. Hence blue colour having lesser wavelength gets scattered more than any other colour. Thus sky appears to be blue during day time. Why do stars appear to twinkle in the night? 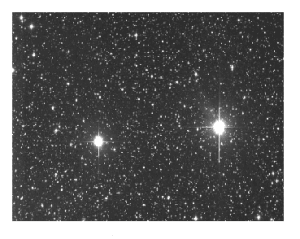 Stars don’t really twinkle, it just appears like that when viewed from earth. Earth is covered with blankets of atmospheric layers. As the light from stars travel towards earth, they bend in random directions due to the turbulent atmosphere. Hence the stars appear to shine. 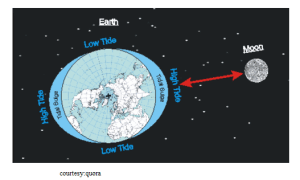 What causes tides in the ocean water? The gravitational force is the main reason for tides. It is the gravitational attraction of moon which causes tides in oceans. To tides occur each day. 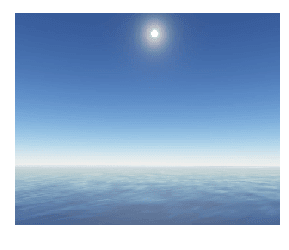 Firstly the ocean bulges in the direction of moon due two moon gravitational attraction. Second bulge occurs in the opposite side, since earth is also pulled towards the moon. Ear is an organ which just not helps you to hear but also helps in maintaining body balance. The semi-circular canals of our ear is filled with fluid. And the hair present in the ear functions as a sense of balance. Each of the hair is associated with a nerve. When you spin around, the fluid in your ear also moves in the direction of spin. Once you stop spinning, the fluid still keeps moving. The Inertial law is applicable at this time. Since the fluid still moving, the hair bends ands sense is sent to brain. 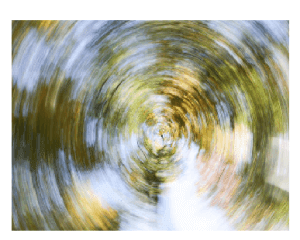 This action thus causes the so called dizzy feeling. Rainbow is a phenomenon causes due to reflection, refraction and dispersion of light. When light passes through water droplets a spectrum is formed in sky. Sunlight being white light consists of all colours as explained by Newton. 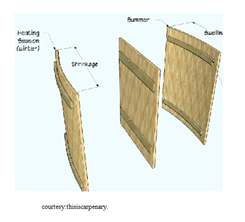 Why do the wooden doors and windows swell during winter and rainy season? The wooden doors and windows absorb water or moisture. This absorbed water causes expansion. The wood of doors and windows expands inwards, thus making it tough to open and close. Echo is the reflection of sound. 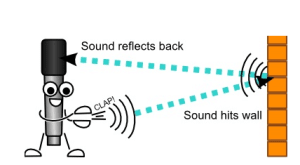 When the sound hits hard object, it reflects back towards the source of sound. The time required for an echo to occur depends on the distance between the sound source and reflecting surface. Why is there lightning and thunder? Lightning is caused by the electric discharge. Thunder is caused by rapid expansion of air. A cloud that produces lightning will tend to have rainfall too. There is an electric build-up as the ice and water develop in clouds. As the lightning passes through air there is increase in temperature, and cools of rapidly. This expansion and contraction of air gives sound that is hear along with lightning. 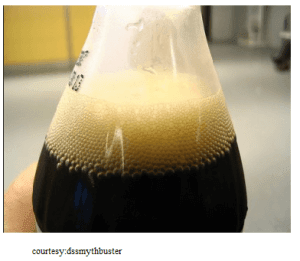 Why carbonated drinks explode when shaken? Carbonated drinks are made by pressurising and forcing carbon into the drink. When left unshaken there is equilibrium between carbon dissolved and carbon gas floating. So when these bottles are shaken the dissolved carbon is released. This carbon turns into bubbles and explodes. 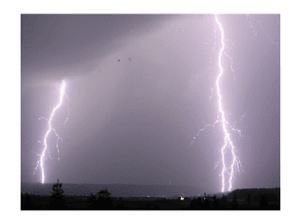 Why And How Does A Lightning Strike? FAQ about LIGHTNING What are the tiny holes on the windows of Airplanes There For? Is Mushroom A New Solution To The Ever Increasing Plastic Waste? Damn, I wish I could think of somhteing smart like that!